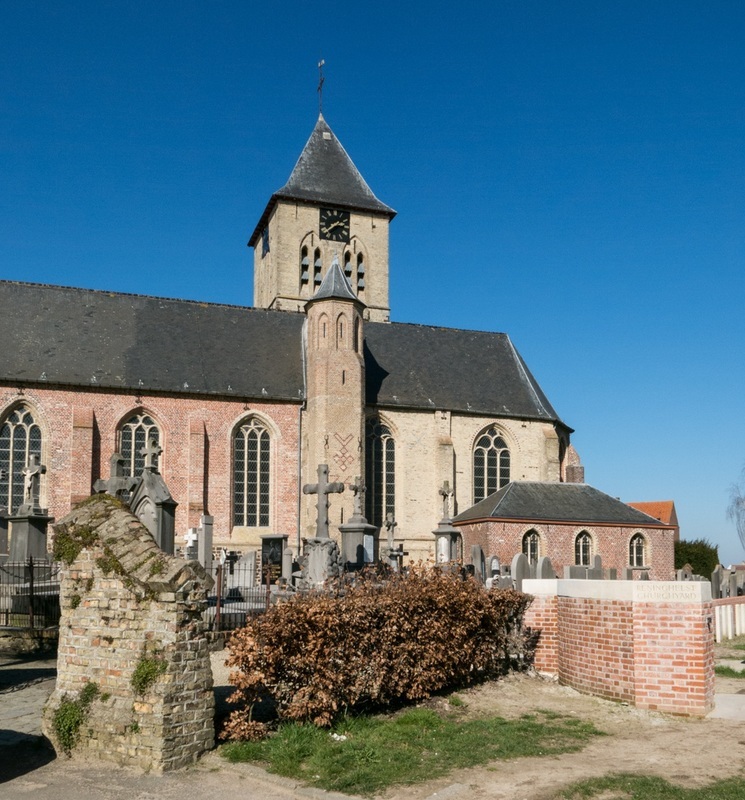 Reningelst Churchyard is located 9.5 Kms south-west of Ieper in the village of Reningelst, on a road leading from the N308 Poperingseweg. On reaching the main crossroads in the village of Vlamertinge take the left hand turning onto the Bellestraat. 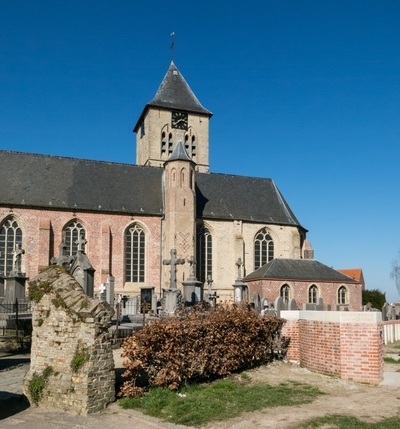 After crossing the N38 Ieper Poperinge road, the village of Reningelst lies 6 Kms beyond Vlamertinge. On reaching the village, turn right onto the Zevekotestraatand continue to the Reningelstplein where the Churchyard is clearly visible. 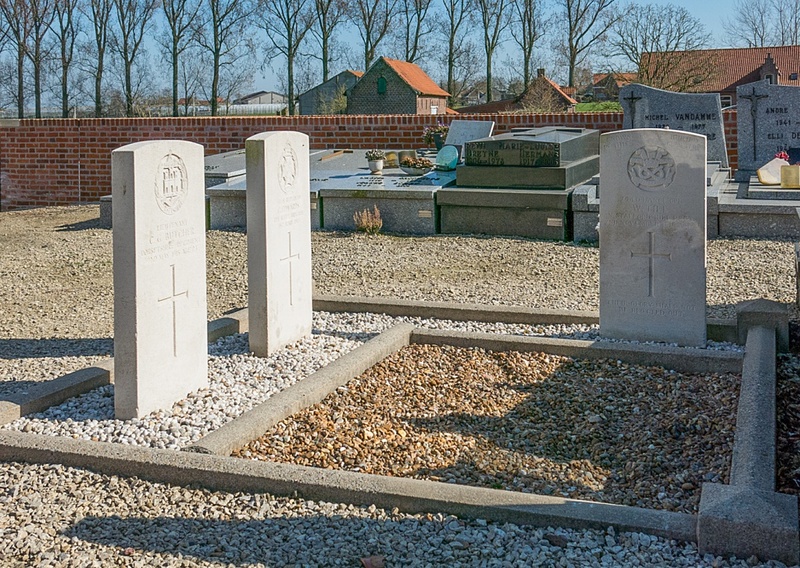 The village of Reninghelst was occupied by Commonwealth forces from the autumn of 1914 to the end of the war and was sufficiently far from the front line to provide a suitable station for field ambulances. 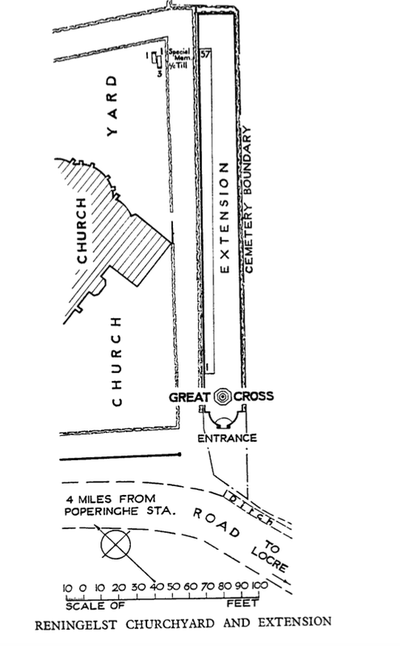 The churchyard and the extension were used from March to November 1915, when the New Military Cemetery was opened. The CHURCHYARD contains three First World War burials, one of them commemorated by special memorial as the grave cannot now be identified. The EXTENSION contains 56 First World War burials and two from the Second World War. 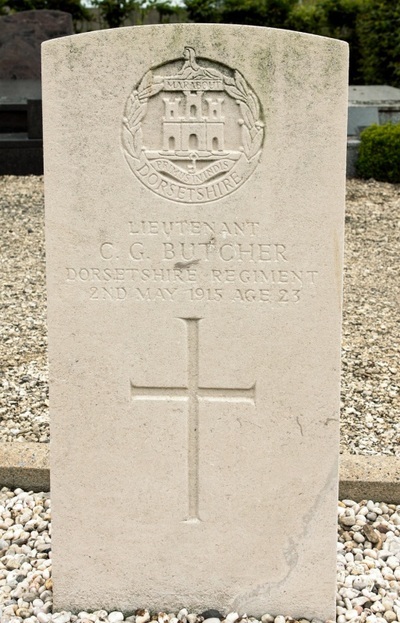 Lieutenant Charles Geoffrey Butcher, 1st Bn. Dorsetshire Regiment, died 2nd May 1915, aged 23. Native of Acton, London. Son of G. W. J. and Mary Butcher, of York Cottage, Totland Bay, Isle of Wight. 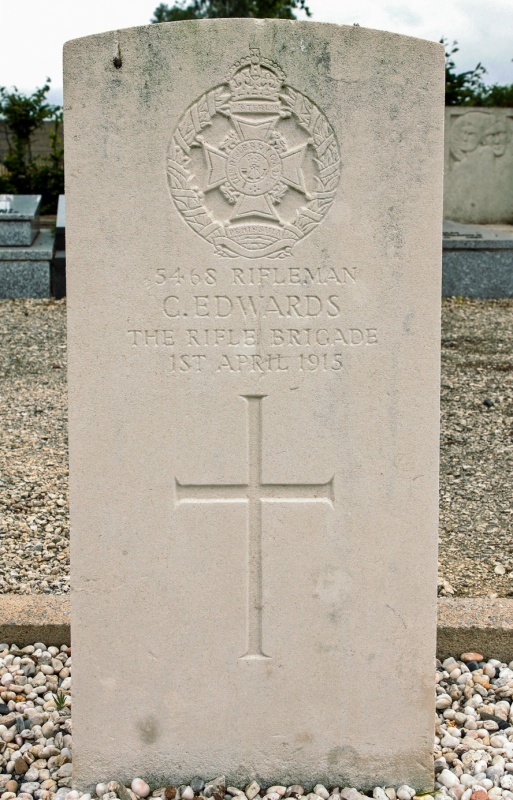 5468 Rifleman C. Edwards, 4th Bn. Rifle Brigade, died 1st April 1915. 7940 Lance Corporal W. Till, 1st Bn. North Staffordshire Regiment, died 2nd November 1915, aged 31. 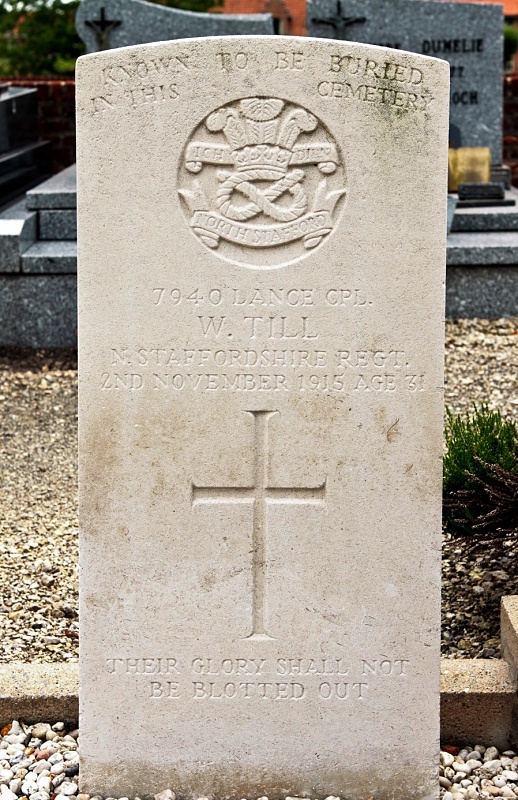 Son of Eliza Ann Sutton (formerly Till), of 26, Hill St., Stoke-on-Trent, and the late James Till.